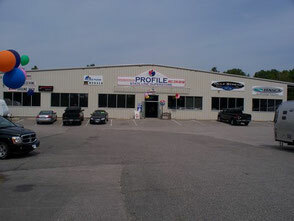 PROFILE STATELIJNE SUPERSTORE IN LEBANON MAINE, SPORTS A 30,000 SQUARE FOOT SERVICE AND SHOWROOM AREA FOR YOUR CONVENIENCE. IT IS ON ROUTE 202, (WHICH IS CALLED CARL BROGGI HIGHWAY), ONE MILE FROM THE NEW HAMPSHIRE STATE BORDER-3 MILES FROM EXIT 16 OFF OF NH US ROUTE 16 AND 13 MILES SOUTH OF SANFORD, MAINE ON ROUTE 202! 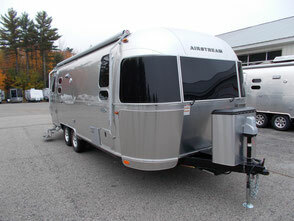 OUR SALES SHOWROOM IS 20,000 SQUARE FEET AND IS HEATED AND AIRCONDITIONED YEARROUND FOR YOUR COMFORT WHILE YOU PERUSE OUR NEW AND USED AIRSTREAM INVENTORY! 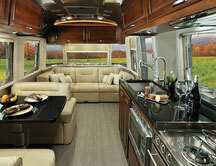 Profile State Line Superstore is proud to be your licensed Airstream Sales and Service dealer! Offering high quality, lightweight travel trailers that glide through the air, Airstream will make your next adventure one to remember. High re-sale VALUE! VALUE! VALUE! Profile State Line Superstore is proud to be your licensed Camplite by LivinLite Sales and Service dealer! Offering high quality, all-aluminum lightweight travel trailers that are extremely durable. They will stand the test of time. NO WOOD! NO ROT! NO MOLD! No worry camping! Most value for your money! Check out our vast inventory of recreational vehicles and marine equipment! 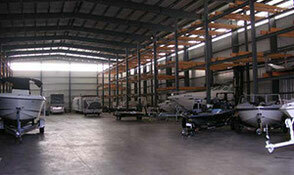 Need somewhere to store your boat or RV this winter? Look no further!